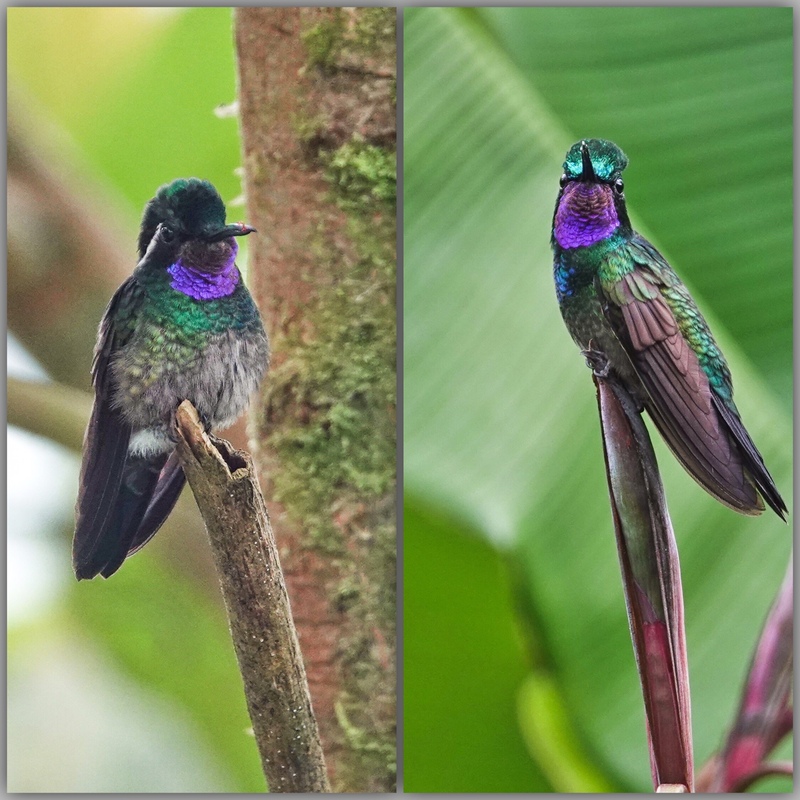 I have been doing some clearing-out of unprocessed images on my iPad Pro and in the process found these shots of the Purple-throated Mountain Gem, taken in December at La Paz Waterfall Gardens on the first day of two weeks in Costa Rica. I knew I had only taken the time to download a few of the images from that day for processing, and, fortunately I had not formatted the card yet, and found these Gems! The Purple-throated Mountain Gem is a mid-altitude hummer, and is replaced by the White-throated Mountain Gem at higher elevations. They share the bold white eye-stripe and overall coloration…only the throat is distinctive. Both are among the most beautiful hummers in Central America. Sony RX10iv at 600mm equivalent. My birds and wildlife modifications of Program mode. 1/250th @ f4 at ISO 800 (left) and ISO 250 (right). Processed in Polarr and assembled in FrameMagic.